Most people/families need a financial tune up at least once in their lifetime. There are many causes that can put even the most diligent people into the costly situation of debt outside of their mortgage. Banks, for example, make most of their money from pushing debt into your financial portfolio without you even having to qualify for it. Any debt outside of your mortgage can range from 3% over prime to 29.9%. Once you find yourself in a position where you are not able to pay the debt you carry on credit cards and/or your lines of credit in full every month, you are starting on a slippery slope. The longer you delay the fix, the faster it is going to slide into wasting hundreds of dollars a month. Those hundreds of dollars are in interest paid to lenders when it should be for your family. Example: A young couple buy their first home. They want to fix it up a bit but do not want to add the renovations on to their mortgage (as we would have advised them). Instead, they use all the spare cash they have in savings and then had to resort to their credit cards and line of credit for the balance. They start their family and they want to use the full 1.5 year parental leave. As a result, one of their incomes goes from $65,000/year to less than $30,000/year. By the end of the first year of leave they fall even further in debt because they have to borrow money to be able to meet their minimum debt repayment obligations. The stress level is crushing. The strain on the marriage is unbelievable. The finger pointing begins. You will not be able to dig yourselves out at this point without a very large increase in your household income and years dedicated to paying out this debt. The Solution: Call Personal Mortgage Group and set up an appointment, preferably before you start missing payments. If there is enough equity in your home the relief is only 2 to 3 weeks away. We will fix you up, dust you off, and set you back on the way to happiness and financial wellness. Below is a simple example so you can see what is possible. We finance you in such a way that your payments are much lower per month and you are paying down your debt, not increasing it. Confused? Have questions? Come in and we will explain everything to you. 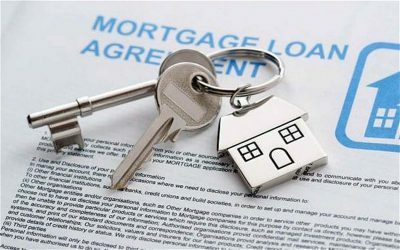 By consolidating your debt within your mortgage and taking advantage of the reduced interest rates that apply to mortgages, you will typically find significant savings, and piece of mind that will put you on the road to financial wellness. For our couple above: their mortgage payment was $1600/month. 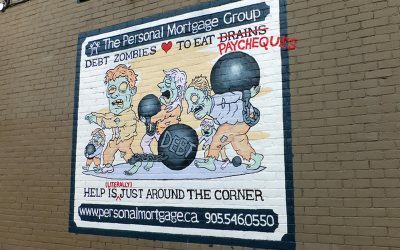 Their debt outside their mortgage is another $1050/month at an average interest rate of 13%. Total Monthly Payments are currently $3065. Total Monthly Payments with the Personal Mortgage Group Financial Tune-Up are now $1720/month, including costs. * these numbers are based on assumptions of costs and qualifying interest rates.